Please use this map to help with parking. 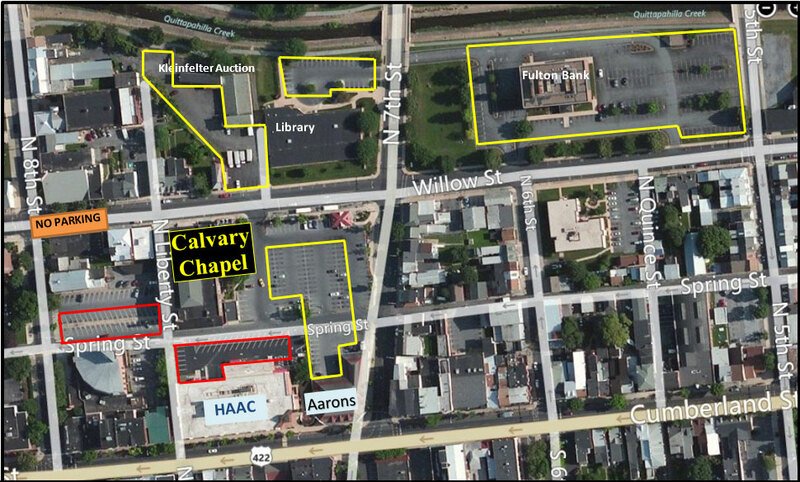 Yellow Outlined Parking areas are free for ALL Sunday Services. Red Outlined Parking areas are ONLY available for the 11:00 am Service.